The Twelve Inc. was founded in 1965 by Father John R. Nentwick and a group of young men to act as a catalyst for social action in the community. As their awareness of the community and its needs increased, the emphasis focused on youth services in general, and channeling the energies of youth toward volunteer activities on behalf of the needy in particular. In 1968 The Twelve incorporated with a primary emphasis as a child serving agency and accepted its first youth in residential placement in 1971. Additional group homes were opened in 1974, 1975, and 1976 serving youth from the Department of Human Services and the Department of Youth Services. In 1977, a network of Independent Living placements and Foster Homes was established. As with many agencies of that time, The Twelve Inc. grew and increased its level of service to young people. In 1989, a Foster Care Network was established in Lorain and Huron counties and in 1996 in Lucas county, serving northwestern Ohio. 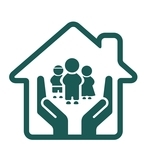 The Foster Care network is now part of a multi-level approach to child care which includes group homes, foster care, independent living and specialized programs for adolescent offenders.